SUPER LEAGUE SEASON 3 IS SET TO START!!! Are you ready for SUPER LEAGUE!? Season 3 is set to start on February 1st!! This year a total of 168 teams from 40 shops will be joining SUPER LEAGUE to compete for the best team in North America!! The season will be starting this weekend, so don't forget to make sure when & where your team will be having the league matches! 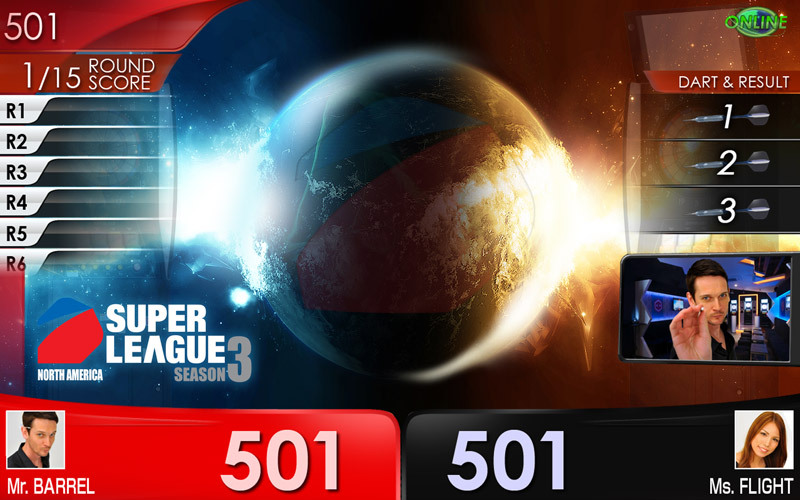 If you signed up during the initial sign-up period of Season 3, you will be receiving a SUPER LEAGUE Season 3 THEME. If you're one of the initial signed-up players, check your DARTSLIVE CARD PAGE or go to your Home Shop and check if you got it during a game play. If you haven't joined SUPER LEAGUE or DARTSLIVE OFFICIAL LEAGUE yet, visit our DARTSLIVE OFFICIAL LEAGUE website to learn more about our league! If you're already a member of a SUPER LEAGUE team, don't forget to check your DARTSLIVE CARD Page! Our DARTSLIVE CARD PAGE has functions informing you the match result, schedule, ranking of the season and your stats. When communicating with your teammate, utilize "Hello!" and "League Talk" to directly send messages! !